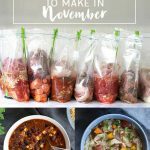 We have a busy week coming up so I picked our seven favorite crockpot meals that I can prep and freeze over the weekend and then dump into the crockpot in the morning. 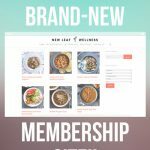 If you want to do the same, I’m sharing my recipes and grocery list for free below. 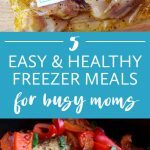 What makes me so obsessed with crockpot freezer meals? 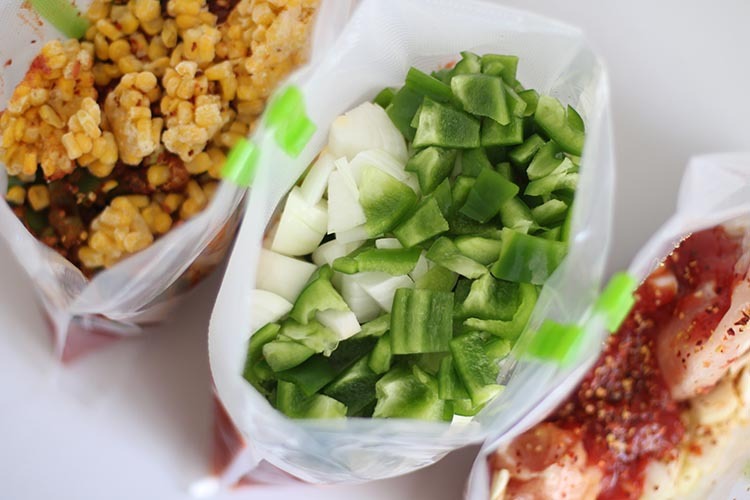 The recipes can be frozen without any cooking ahead of time, so they’re very quick and easy to prep. I like to set aside an hour on Sunday to make 7-10 meals at a time. Crockpot meals are good for at least three months in the freezer, so we always have meals on-hand for busy weeknights. I know you might not want to eat from the crockpot every night, but I’m just happy to get a homemade meal on the table. I have four little kids and I can’t devote much time to cooking right now. These meals have a variety of tastes and textures and it doesn’t matter to me how they’re cooked as long as they’re made at home. 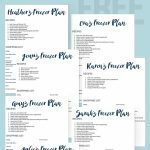 CLICK HERE for the free printable recipes and full grocery list. You can add the ingredients to the crockpot in the morning or assemble all seven at once and freeze for up to three months. If frozen, thaw overnight in the refrigerator or in water in the morning. Dump the bag into the crockpot in the morning and dinner is done. P.S. I first shared these 7 recipes on Thirty Handmade Days. These look so good! I have never made frozen crock-pot meals (or any freezer meals, really), and am interested in trying. I’ve also never been a good crock-pot user, since my mother never even had one. I’ve made a lot of meals in the crock-pot, but only loved a few. So I’d love to give yours a try. Thanks so much for the recipes! You’re welcome! Let us know what you think. What is the cool bag holder thingy? Thanks! 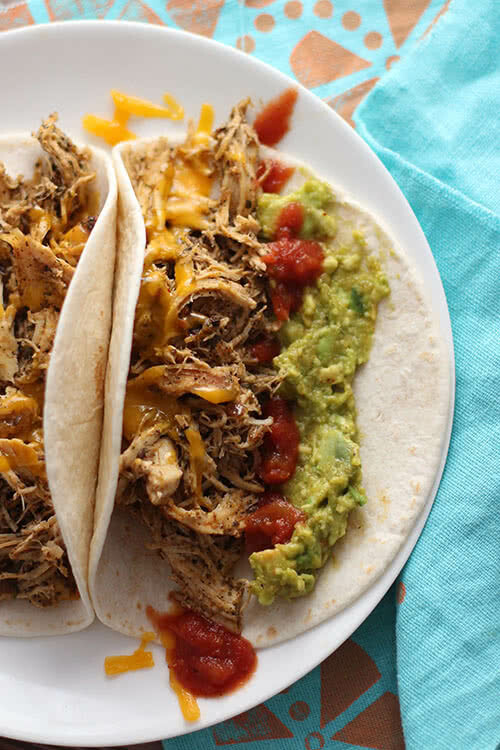 Do you really have to thaw it before dumping it in the crockpot? The FDA recommends thawing first. I would be lying if I told you that I don’t know people who just dump it.